It’s such a great invention, really… a pot that you can throw a bunch of stuff in and let it do all of the cooking for you. At the end of the day, you take off the lid and dinner is ready for your family. What could be better, right? The idea is fabulous but I don’t always find that the recipes turn out all that great. 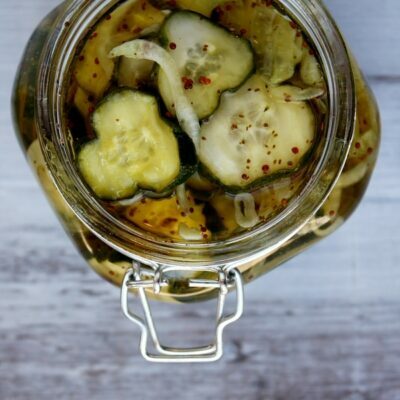 Many readers have asked that I expand my slow cooker recipe section, and I’m working on it. I promise… I’m trying really hard to find recipes that are worthy of posting and sharing with the world. And I found one! This soup is quite delicious and it really can’t get much easier. 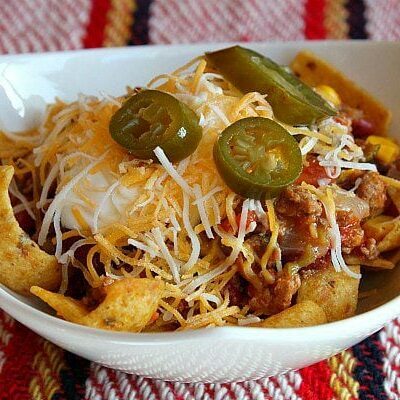 Just dump all of the ingredients into the slow cooker and let it do its thing for 8 to 10 hours. 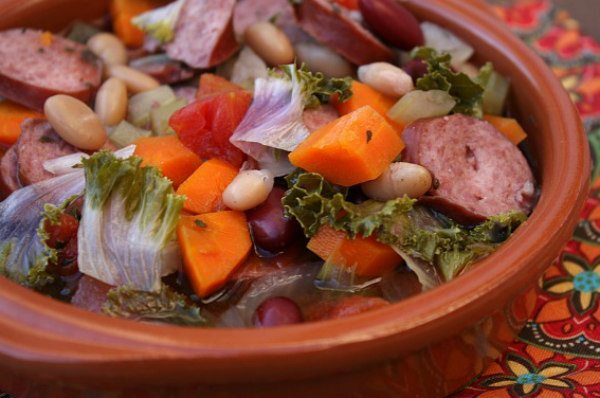 It’s filled with turkey kielbasa, chopped veggies (onion, carrot, celery, kale, tomatoes) and beans. The recipe came from a Weight Watcher’s cookbook (of all places! ), and it’s a major keeper. It’s quite filling at 1 1/2 cups per serving, and if you are on the Weight Watcher’s plan then you will be able to note the Weight Watchers points in the recipe below. 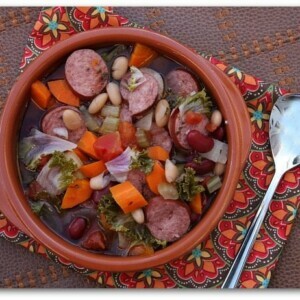 This recipe happens to be naturally gluten-free (just be careful of purchasing GF sausage). You absolutely do NOT have to be on a diet to enjoy this recipe. Soup is perfect for a chilly day, and although it’s pretty sunny here in Southern California, we have our share of (what we deem to be) chilly evenings. Soup warms the soul and is a welcome dinner to be waiting for you and your family at the end of a busy day. My family gobbled this one up, and they were completely unaware that this was such a healthy soup. In a slow cooker, combine all ingredients except Parmesan. Stir to combine. Cover and cook on low until the vegetables are tender, 8 to 10 hours. 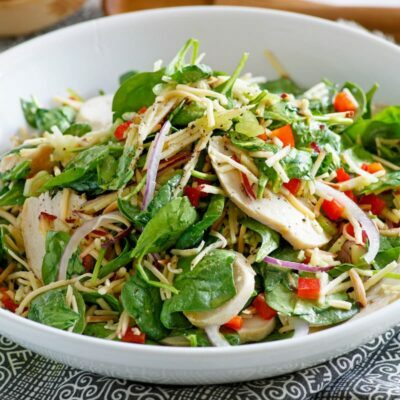 If you are preparing this recipe as Dairy Free, skip the addition of Parmesan cheese. 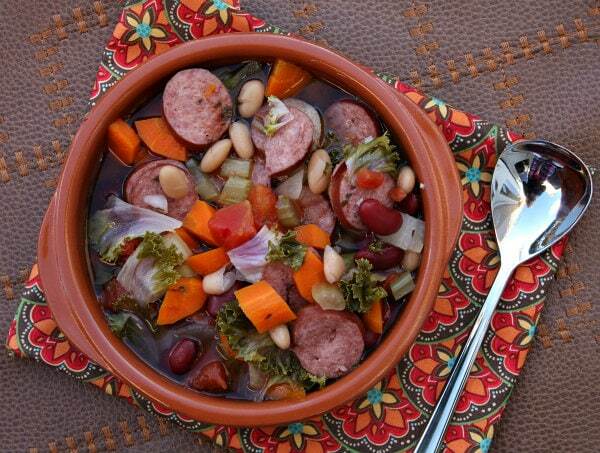 If you are preparing this recipe as Gluten-Free, make sure you add in sausage, beans and broth that are free of gluten. Delish! I used italian chicken sausage instead of kielbasa and spinach in place of kale, since that was what I had on hand and loved the flavor the chicken sausage added. Will be making again for sure! Fantastic! Will be making again! This soup is wonderful! I used fresh baby spinach in place of kale. Perfect for a cold winter night! 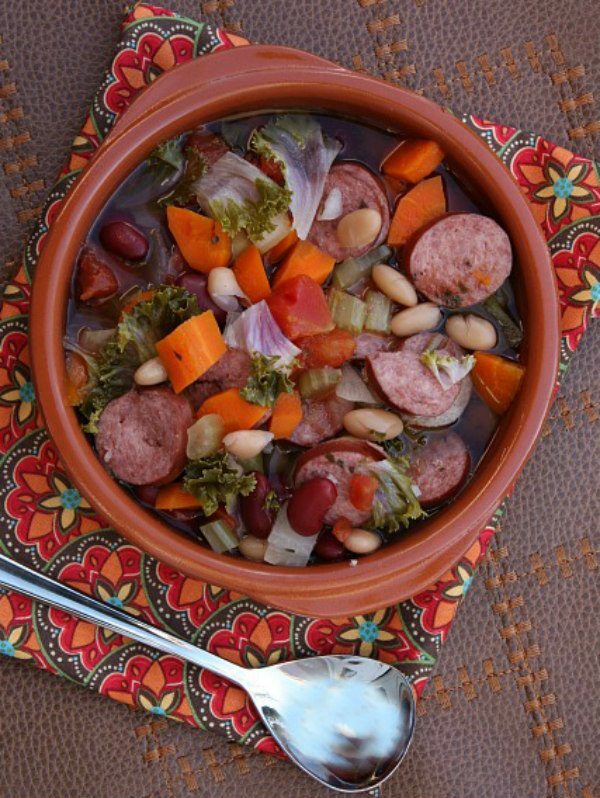 The turkey kielbasa adds just enough “spice” to the soup. Its a keeper! Thanks for sharing! What a great sounding recipe. I love making soup in my slow cooker. Thanks for the weight watcher plus points as well. That is very helpful. 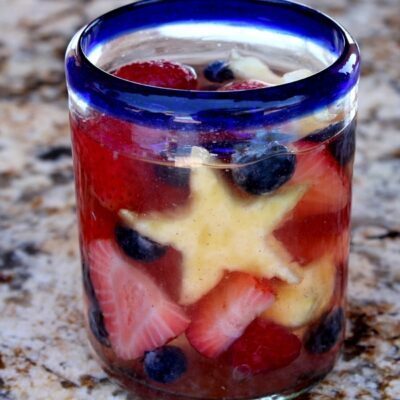 I will have to make this next week. Thanks for sharing. I have never cooked with Kale and don’t recall the taste. I have printed this recipe to try. That is a great photo of the soup! I have that same fabric at home. It made a lovely setting for your bowl! Thank you for sharing! 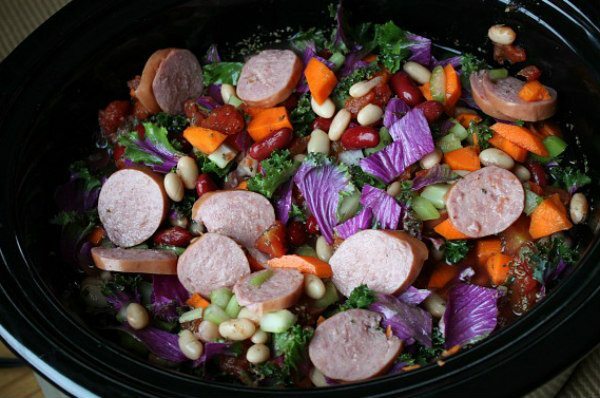 I actually have sausage that I have been wondering what I could do different with, I am trying this tomorrow. Please, help us busy working Mom’s and keep the slow cooker recipes coming!